NoCocrn (Northern colorado community rights network) developed out of the windsor (colorado) community rights network. ​nococrn is a diverse group. Our members range across the political spectrum. But we have one thing in common. We the People…. Since 1819 we have been slowly losing our rights that are the foundation of a true representative democracy. 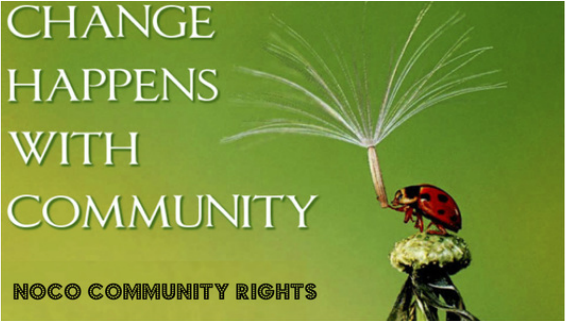 Our mission is to educate people and communities about local, community self-governance and community rights; secure the inalienable rights of all people, communities, and ecosystems through local self-governance; assert community rights to empower and liberate communities from state preemption and corporate harm; and advance those efforts toward state and federal constitutional change. keep up with events! click here for Our calendar!